Which could be anything really (and is very badly written but never mind). The trailer does look stunning as Elsa tries to defeat enormous waves to get out to sea, though we don’t know why – presumably to find out the truth about an ancient mystery of their kingdom. Check out some images below and scroll down for the trailer. Frozen II is out on 22 November. 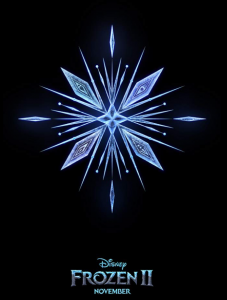 Idina Menzel, Kristen Bell, Josh Gad and Jonathan Groff are back as Elsa, Anna, Olaf and Kristoff – joining them are Evan Rachel Wood and Sterling K Brown. It’s directed by Jennifer Lee and Chris Buck.